Today we're releasing a new product called Guest's Feed. This app solves the problem of showing activity feed to guests – surprisingly it was not possible to show feed to guests until this moment. Hide Guests Feed from logged in members – this settings turns on redirect from Guests Feed page to normal home page for those members who are already logged in. 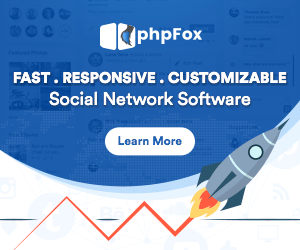 When installed, Guests Feed copies all blocks from your normal phpFox Home Page for logged in members into new Guests Feed page – in this way you can be sure that Guests Feed page looks the same as your home page. Excited to try Guests Feed on your website? Click below button to check it in phpFox store!